Bifesta★1+1 MIX N MATCH★ BIFESTA Cleansing Lotion | Foam | Gel | Wipes. FULL RANGE AVAILABLE! Bifesta No.1 in Japan. Full Range: Cleansing Lotion | Cleansing Gel | Carbonated Facial Foam | Cleansing Wipes. 2016 new products, fresh stocks! Well received. Very fast delivery. Thanks seller. Has been using this product for long time. Thumb up! The delivery is fast. Great buy with qpts. Good product, hv been using it fr more than a year n find it suitable for my skin. Fast delivery and price is much cheaper than retail. Will definitely purchase again. cheap and good. fast delivery too. Hi dear, is the brightening/moist lotion cleanser the latest packaging? They are new stocks. Thank you. Hi , what is the expiry date for the brightup cleansing lotion? Current batch expiry is 2021. Thank you. Dear seller I didn’t see any cleansing gel liquid for selection? Is it out of stock? Restock anytime soon? If the option deos not appears, it means that it is sold out. Thank you. We are working on it, thank you. What is the expiry date for bright up lotion & eye removal? Current batch expiry at least 2020. Thank you. Hi Seller, if purchaser above $50 will you arrange by courier? Or normal SingPost mail? Will be upgraded to courier delivery. ★ 1+1 Mix N Match! ★ Bio Oil for Scars/ Stretch mark/ Dehydrated Skin / Aging skin. No.1 in SG! 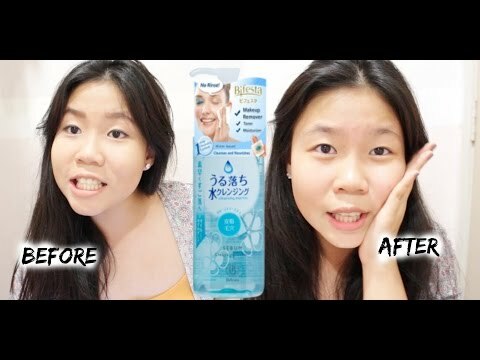 [1+1 Mix n Match] BIFESTA Cleansing Wipes. No.1 in Japan! MADE IN JAPAN!